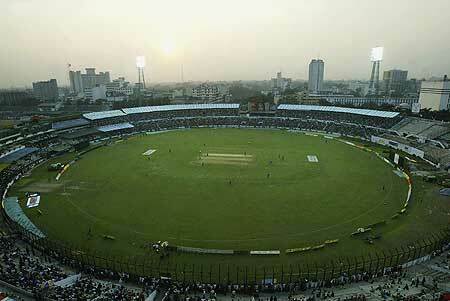 Will Rainfall threaten Indo-Pak Match? Chances of Rainfall in the Second Clash as well? Today Dhaka city (March 17) witnessed a brief thundershower with strong winds of 56 km/h during the mid-day. Patches of clouds formed East of Kolkata, India and crossed border into Bangladesh where they intensified into a mature thunderstorm before dissipating over the southern coast of Bangladesh. If one remembers then during the Semi-final between India and Pakistan in Mohali in 2011, rainfall with dust storm was forecasted however it was not fruitful. 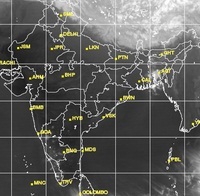 As of now (8:13 pm March 17 night), few clouds have formed over the coast and east of the country due to which thunder/lightening is occurring over Dhaka however these clouds will move into the Bay of Bengal to dissipate. So will weather now derail the match? Overall there is no weather system or any storm brewing in the Bay of Bengal that could threaten the match but the Bangladeshi city is still forecasted to witness another day of hit-or-miss thundershower with fast winds during the early hours of March 18 that could occur due to a stray thundercloud formed due to moisture incursion. These conditions could lead to the formation of another thundercloud that ‘may’ bring rainfall to the city and that could be a problem for the game however these local thunderclouds are very small and dissipate quickly rather than bringing torrential rains. Partly cloudy mainly in the morning to mid-day would prevail over the city during which a brief one to two shower could occur and as the day would progress further, the sky would start to clear up. The daytime temperature would be bearable and would range from 30°C – 33°C. Whats going to happen? Tomorrow we shall know. ← Freedom of expression at stake!